Kenneth Ford (right) stands by a log truck with an unidentified employee at his sawmill in Dillard in 1959. 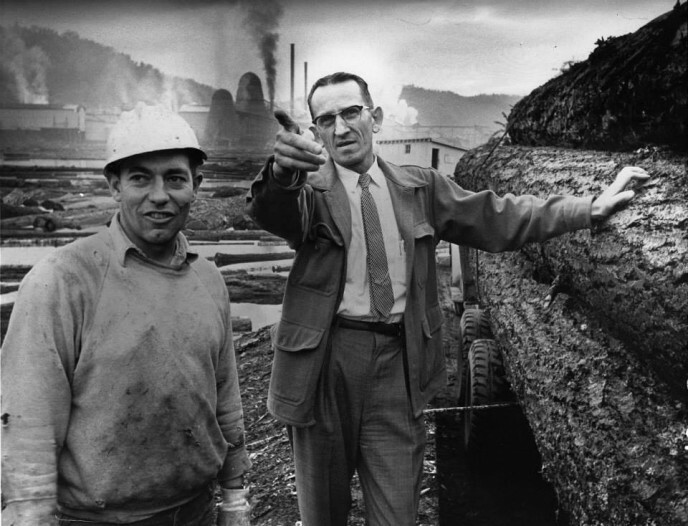 Ford founded Roseburg Lumber Company in 1936. It produced quality wood products for customers throughout North America. In 1985, it was organized as Roseburg Forest Products Co. and its one of the largest private lumber companies in the United States.